It felt like I was from another time, walking into that dealership. Overly large, overly bright, and overly shiny. Against a backdrop of brand new Harleys, modern and soulless; racks of unworn leather jackets, unused parts and accessories… I felt like a curious relic. There was something about that spacious, immaculate showroom that didn’t quite square with my rebellious sensibility. I made my way with uncertainty to the front counter, feeling like I was operating on a different frequency, in some sort of warped alternate universe. As I told the Siara boys after their deeply gratifying set of life-affirming rock ‘n’ roll, “thanks man, I really needed that.” Yup, tough year. What can I say? Read more of my heartfelt gratitude on Ryan’s Smashing Life. I gave him the photos that didn’t look like I shot them in a dark underwater cave. Apart from the ridiculous volume level for two dozen of us in a place the size of a shoebox, they also have a rather creative lighting technique, whereby they illuminate the audience but leave the performers in semi-darkness. Actually, we later decided that was good for bands with bad hangovers; Joey said it was nice and subdued, and he could see all of us just fine. Awesome. Joey raises his plastic cup to the 20 of us. No man, here's to you. Malcolm Sosa & Kim Haden’s College Kids – new band, new song, & debut show at Spaceland! 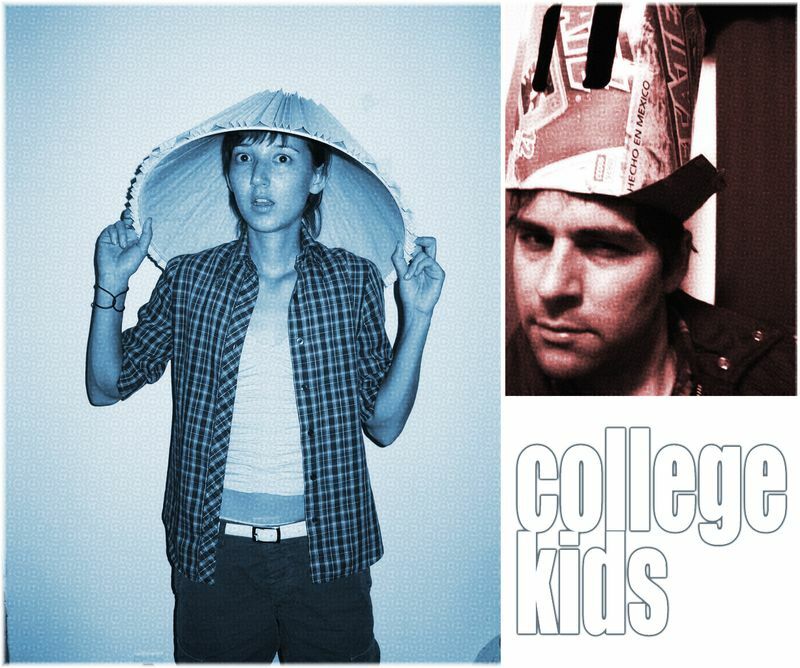 I’m still waiting for Rademacher to make it to the East Coast, but in the meantime, Malcolm Sosa and his girlfriend Kim Haden (formerly with Light FM and now with Yellow Alex) have a new band they’re calling College Kids. They’ve just released their first song, “The Big Fresno Fair”; a sweet, funny, wistful ode to their hometown, delightfully reminiscent of Malcolm’s songwriting in Rademacher which I’ve known and loved for some time now. 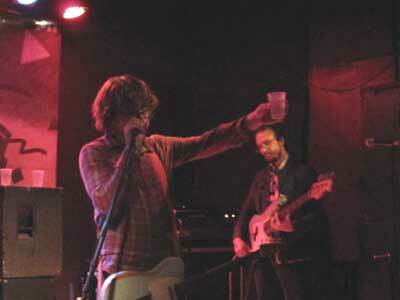 The song also features Blake Jones on Theremin. Their recording project is being produced by Josiah Mazzaschi (Light FM) and Sam McConnell (Breakfast Records) at their studios in Eagle Rock, The Cave and The Manor. This excellent track promises big things ahead. If you’re in Los Angeles Monday night (Oct 25), you can see their debut live performance at Spaceland (they’re on at midnight). Oh, and by the way, this just so happens to be the final night of the Radars To The Sky month-long residency, which also features South Pasadena band Torches in Trees. 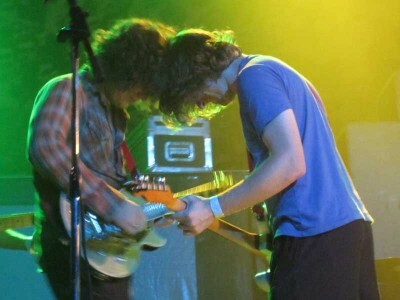 This residency has been presented by KROQ Locals Only show and prominent L.A. music blog Web In Front. Yep, this already happened. On this week’s Expanding Awareness program, Victor and his guest, renown author Freddy Silva, spoke about crop circles and other sacred sites. However, you can still listen to the show on the WZBC Archive (all of ‘ZBC’s shows are online for two weeks). Freddy will be speaking at the Boston Theosophical Society on Friday, October 29, in a talk entitled “Our Legacy of Places of Power and the Transfiguration of the Soul”. P.S. he’ll be back on Expanding Awareness next Saturday to talk more about crop circles. On this week’s Expanding Awareness program, Victor and his guest, Linda Clave, will be giving an overview of Expanding Awareness topics during the WZBC Fundraiser. Show your support for Victor’s Lucid Sounds and Expanding Awareness program! Lucid Sounds begins at 7am; Expanding Awareness is at 10am on WZBC 90.3 fm. You can also listen to the show online or after the fact on the WZBC Archive (all of ‘ZBC’s shows are online for two weeks). The Henry Clay People at T.T.’s Sunday night! Just a quickie to commemorate this happy event: The Henry Clay People back in Boston, this time as headliners (yay!) at T.T. the Bear’s Place on Sunday night. 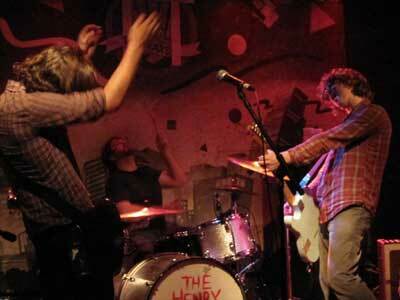 They go on at 11, after sets from Cambridge-based Wildfowl and NYC’s The Dig. Have a look at my little preview on Ryan’s Smashing Life. 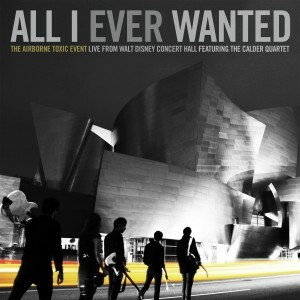 On July 30th, 2008, six days before the release of their debut album on Majordomo Records, I saw the Airborne Toxic Event for the first time – upstairs at a downtown Boston Irish bar. It was a crazy radio station event, with guys dressed in bathrobes and cowboy boots, and girls in lingerie (with some strippers hired by the station for added effect). The ‘stage’ was the far end of the room, with maybe 150 of us packed into the small space. A year and a half later, here they are at Los Angeles’ Walt Disney Concert Hall, a world-class concert venue, home to the L.A. Philharmonic. On this week’s Expanding Awareness program, Victor and his guest will be discussing ghosts. Yup, it’s that time of year. This happens at 10am on WZBC 90.3 fm. You can also listen to the show online or after the fact on the WZBC Archive (all of ‘ZBC’s shows are online for two weeks). 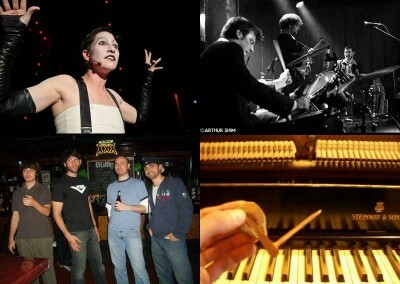 Amanda Palmer in Cabaret (photo by Marcus Stern), Otis Grove (photo by Arthur Shim), The Action Verbs, and wildfowl. On this week’s Expanding Awareness program… uh no, unfortunately, Victor isn’t bringing Alan Watts back from the grave, but he will be airing one of his enlightening and entertaining lectures, in what he calls one of his “encore presentations”. This happens at 10am on WZBC 90.3 fm. You can also listen to the show online or after the fact on the WZBC Archive (all of ‘ZBC’s shows are online for two weeks).